As you can have probably gathered we are rather proud of our products and we haven’t always felt the need to enter our products for lots of awards, however over the years we have been invited to, and we’re pleased to say that other people think our products are as great as we do! Thanks to our unique and time-honoured preparation technique coupled with the superior Scottish salmon we use, we have started accumulating quite a few awards to shout about, most notably the Great Taste Awardsorganised by the Guild of Fine Food and referred to as the 'Oscars of the food industry'. 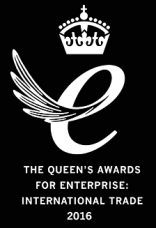 We are proud to have received the coveted Queen’s Award for Enterprise for its continual growth in international trade. The award, which has been won by prominent UK brands including Dyson, the Cambridge Satchel Company and Mackays, is regarded as one of the UK’s most prestigious awards and reaffirms John Ross Jr’s heritage and Great British brand status. It is the second time John Ross Jr has received the sought-after award. 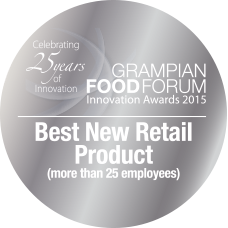 We're also extremely proud to have recently picked up an award for the Best New Retail Product for the Grampian Food Forum Awards for 2015. 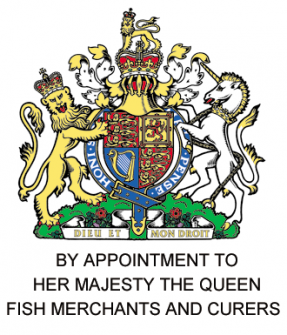 Of course the badge of honour we are most proud about is our Royal Warrant. We are very proud to have been a key supplier into the Royal Kitchens for our fresh fish and cured fish products for 25 years.